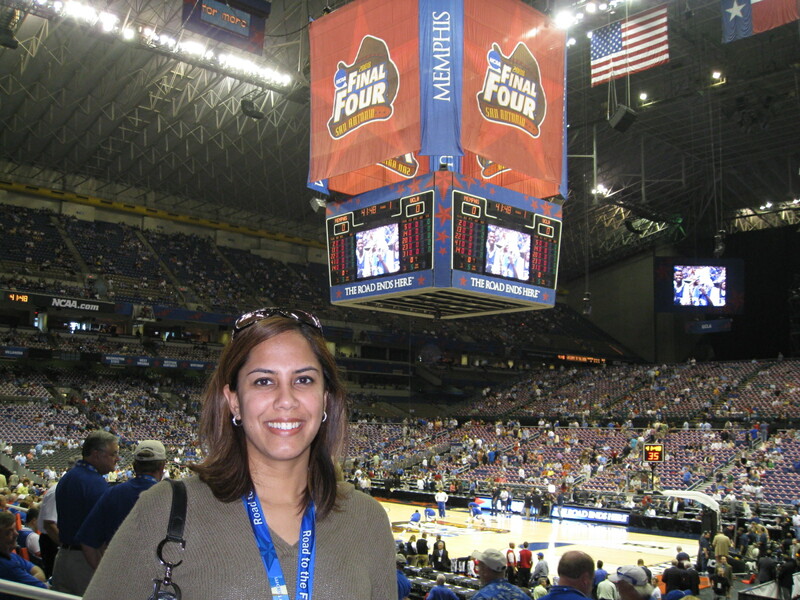 I was catching up with someone about the NBA and the NCAA Tournament, and my friend mentioned my trip to the Final Four in 2008. Honestly I hadn't thought about 2008 since 2008, but my friend had an interesting revelation. When I was in San Antonio for the Final Four I watched the UCLA Bruins play the Memphis Tigers. What does that mean? 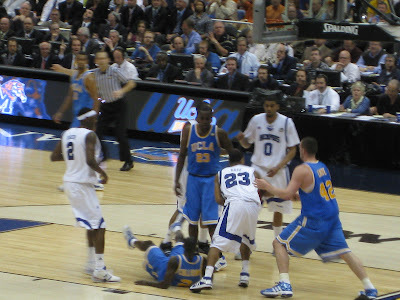 It means, that I saw UCLA's Russell Westbrook and Kevin Love go up against Memphis' Derrick Rose. Wow. Immediately, I went through my pictures to see if I had any gems. This is what I found. 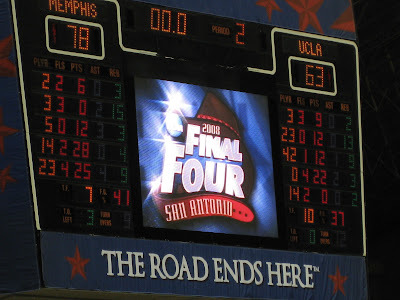 Oh and for those of you that don't remember, Memphis defeated UCLA in that game (i.e. with a final score of 78-63). Further, Kevin Love did not have a double-double in that game. 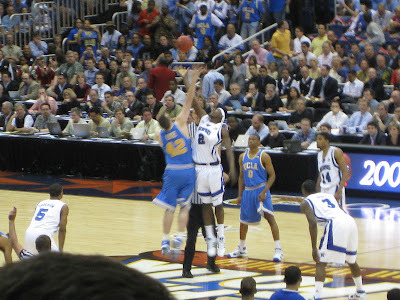 Kevin Love finished his road to an NCAA Championship with 12 points and 9 rebounds, but Russell Westbrook was the high scorer of the two (i.e. 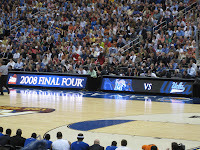 in this Final Four game) with 22 points. Derrick Rose ended his college career with 25 and 9 rebounds. Here's a shot of the scoreboard at the end of the game. 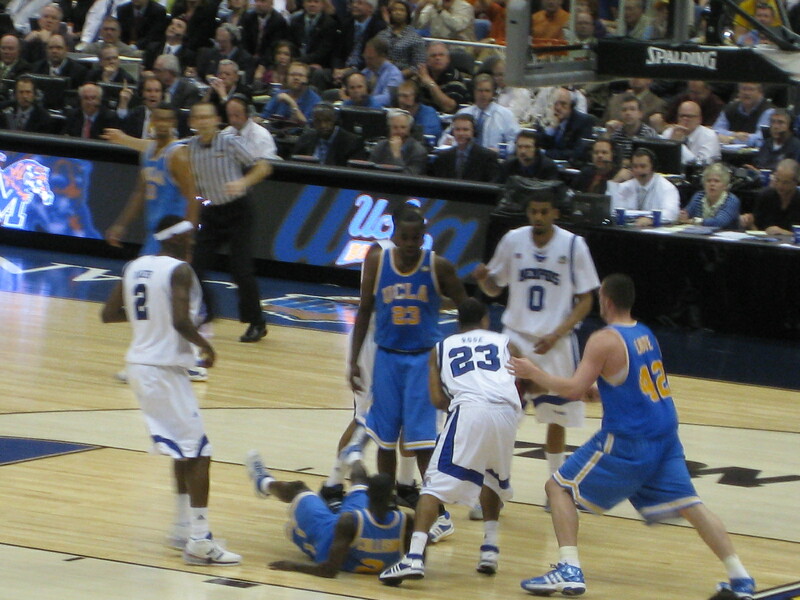 Love's accomplishments in the NBA have been well documented as he plays for the Minnesota Timberwolves along with Michael Beasley. Russell Westbrook and his teammate, Kevin Durant, are a tremendous duo for the Oklahoma City Thunder. Derrick Rose has been amazing for the new-look Chicago Bulls, and he has his name in the hat for the NBA's MVP award this season. Incidentally, the Bulls took the top spot in the East (i.e. over the Boston Celtics) after last night's victory over the Washington Wizards. 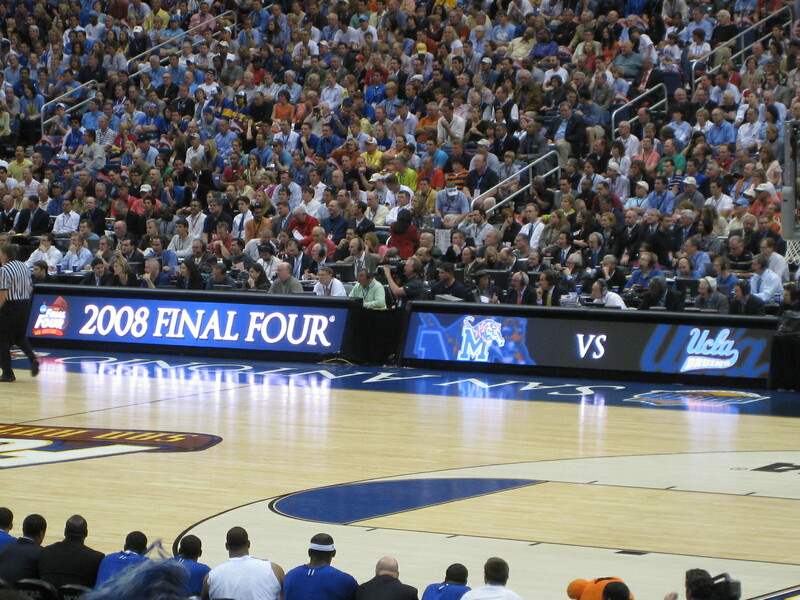 ﻿I'm telling you, if you've never been to the tournament, GO!!! !